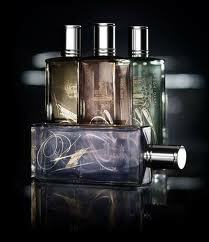 London includes notes of bergamot, rhubarb, grapefruit, cardamom, rose, violet, vetiver, black tea and white cedar. 100ml, 150 euros. Available from Guerlain boutique and Bergdorf Goodman. Via Bergdorf Goodman. violetnoir: But I do think of rose and violet when I think of London…Don’t know why, but I do. Even the cardamom to give it a kick! Anyway, it sounds yummy to me. Please let us know what you think, V.